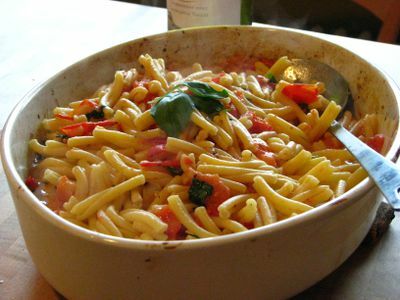 The Doctor in the Kitchen: The Greatest Pasta Dish for the Summer: Grilled Tomatoes, garlic and Basil! Wonderful! The Greatest Pasta Dish for the Summer: Grilled Tomatoes, garlic and Basil! Wonderful! This dish is inspired by the very book that inspired this blog, namely, Nigel Slater's Kitchen Diaries, and I wholeheartedly recommend it to anyone with a keen taste! 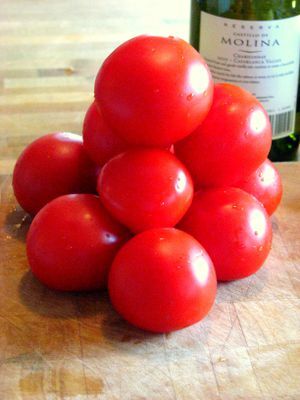 Nigel claimed to have made this dish in the middle of June when the first harvest of tomatoes arrived. Here, in Scania, making this dish would fit perfectly around the middle of July, which I indeed did! I had bought a bunch of new tomatoes and allowed them to rest on the table where they developed a wonderful red color - the kind of deep red where you can almost see their sweetness. I also used a whole lot of fresh basil, which incidentally is my favorite herb; the aroma, the taste, the texture - few experiences compared to having a glass of white wine on a summer evening, after having chopped down fresh basil - the smell is simply incomparable - my god, I am easy to please!!! 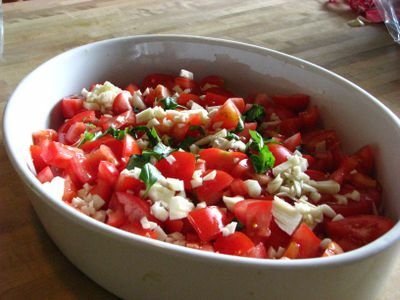 Place 600-800 gr of beautiful, chopped tomatoes into an ovenproof dish. 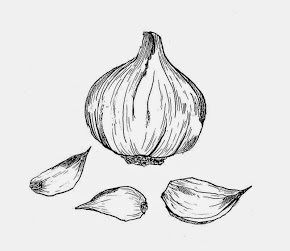 Distribute 6 cloves of finely chopped garlic and then drizzle around 4 tablespoons of olive oil over. Generously season with salt and pepper. Optionally, you can sprinkle a bit of balsamic vinegar over for a deeper flavor. Heat the oven to its maximum capacity and turn on the grill, place the ovenproof dish into the oven, about 15 cm below the grill, and cook for a few minutes until a few of the tomatoes have begun to color. Some will become golden brown, others a bit darker. 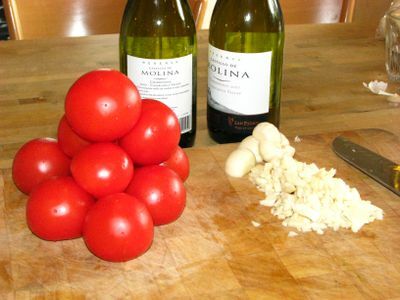 Remove the ovenproof dish from the oven and crush the tomatoes using a fork - though try to leave a few chunks intact. Scatter around 30 finely chopped basil leaves over and pour in 4-6 tablespoons of cream. Place the ovenproof dish back in the oven for a minute or two in order to heat the cream. Season to taste. Boil pasta (for example penne) in richly salted water and when ready, pour into the warm tomato sauce and mix well together. Add a touch more of fresh basil and seasoning. Serve with good bread - for instance homemade foccacia with olives, and a rich salad. Make sure you have a generous amount of parmesan cheese at hand - and a nip of cold white wine doesn't hurt either. .With the food we had white wine from Chile - Castillo de Molina - Chardonnay from 2007. This is a very good and moderately priced wine. Considerable fruit which reminds you of pears. Thick and soft on the palate, and a nice aftertaste. Suited the dish quite well. P.s. 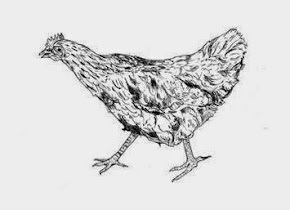 If you like what you read here - check out my page on Facebook; The Doctor in the Kitchen!